It’s been a nice break and I’ve experimented with wisdom from webinars, editors, agents and other successful writers. Rachelle Gardner is a literary agent with a blog that offers sound advice – at least it appears to be sound. Another piece of advice that I received actually led to the hiatus in the first place. While studying the most effective use of one’s writing time, I learned that I had mine out of proportion. The recommended division for the unpublished novelist – that would be me sadly – is 90% on novel and a mere 10% on one’s blog. I decided to give the advice a try. It was spot on. Here’s why. Thinking about the next blog, taking pictures, preparing links – usurps a great deal of the creative process and energy. During Nanowrimo, November’s national novel-writing challenge, successful authors give tips to those of us attempting to throw everything into our writing. One such tip I received was to try to even limit the witty banter with co-workers, as even that tapped into the creative juices. Imagine how much of that is robbed in the process of being hyper-vigilant about one’s blog content. Focusing daily on the novel at hand limits the amount of time spent rereading pages from the last session’s work. If it was written a week ago, the necessity to get the mood of the scene and the psyche of the characters back into my consciousness requires precious moments in which I could be adding to the story instead of recreating the ambiance in my head. But the blog is also important and the community of friends and fellow bloggers have been sorely missed. Arindam Mohapatra at Being Arindam, even published a book through Amazon! 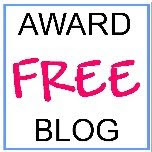 And I made a few changes to the site, including going ‘Award Free’. This decision was made due to the amount of time I’m already chopping off of the blog writing. Still love every one of them, but I’d rather focus on content and connecting with my readers. I thought I may be tempted to change the template of the site, and I did experiment with many, many, many others. The problem – I wanted something easy to read, easy to navigate, not too complicated for me to use, and that you wonderful tribesmen didn’t already have. Well, after traveling around the rainbow, I’ve returned to the place from which I started. I’ll just update the photo header and leave the website as it is. I did elect to purchase writingfeemail.com, so that should make me easier to find. And I published another short story at Storyhouse titled Down the Rabbit Hole with Alice. At least something got published. Here’s another piece of writing advice – never send queries in August! Yes, I was warned that most agents were combing the conventions or on vacation and wouldn’t be accepting submissions even though their websites didn’t state that. And yes, the few I sent out came back so quickly that I think they passed each other in the ethersphere. I would like to think that someone read them, but two minutes from ‘message sent’ to ‘incoming message’ doesn’t support that theory. I’ll try again and again and eventually it will work. We must have confidence in our work! The good news is that while social media is full of people sick to death of us bloggers and facebookers and twitterers bragging about how successful and wonderful we are, my confession should be a breath of fresh air. Either I sent out my query at the wrong time, to the wrong people, or I am not good at writing a darn query. It is likely a combination of all of those things. So hello again. I’ll keep you updated on the search for publication and hope it is a shorter journey than it has been so far. Next Next post: It was a dark and stormy…Afternoon? Great to see you back Renee and I loved that short story of yours. I was really missing you here. But I have not published my book yet, with few more weeks It will be available for sell. These days I am busy preparing the final draft of the book. May be by mid September I will be done with it. Still thanks a lot for your kind words, as always. And what about your novel, when are you going to publish it? Thanks Arindam. I’m going to start the query process again after Labor Day. I have sent a sample of my query to be critiqued. If I can’t hook an agent, the novel itself won’t stand a chance to be seen, unless I self-publish. That’s not completely off the table, but more of a last resort. I’m excited for yours though. Do I remember you? You’ve got to be joking. I missed you and felt badly neglected by you.Whilst you gave warning, the actual ‘weaning” was a little abrupt. I write my blog so differently to yours it makes me blush. I throw a momentary thought on “the page” without a care in the world. It’s my watercooler moment. Or a remark I’d make if we were in the car together. Spur of the moment. And, as you know, nothing fancy like photos for me. But then, and I appreciate how it is for many who labour over their blogs, mine is not a show case. It’s just an unvarnished me. A bit of froth on the latte of my life. As an aside which possibly chimes with you: Some purists say that a “professional” writer shouldn’t even read others lest it might spoil their own style. Maybe. Who knows. I missed you too Ursula. Who needs a bunch of bloggers who are identical to one another. Your style is unique and provocative. It encourages thought and discussion. You don’t need a showcase as your words paint the pictures themselves. Blogging is very time consuming. I spend far to much time on my blogs when I should be focussing on my wirting style. 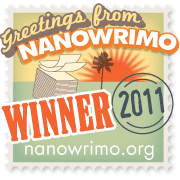 I want to join the Nanowrimo challenge this year, but I fear I’m just not organised enough. One challenge before Nanowrimo was to find and complete an online creative writing course – have I done anything about it ? No! I love the them you’ve chosen. I also recently looked all therough the themes for another blog I created and chose this one because of the “About” precis at the end of each post. Martha Alderson, The Plot Whisperer, has a great online course that you can download and watch as you please, whenever you please. And the last time I checked, it was still free. It helped me to organize my thoughts before last November’s challenge, the first time I actually met the goal. Welcome back! Yes, I’ve missed you terribly! Since my blog is the only thing I write, I’m still posting everyday. Sounds as though you enjoyed your break! Looking forward to your posts again. Thanks Dianna! I did try to make the best of the hiatus and use it for the betterment of the craft, but I missed you too. Looking forward to finding out about the continuing saga of bride and groom swan, and catching those sunsets at OBX! You have found the perfect niche! Welcome back, Renee. I am looking forward to reading you again. At least you didn’t have to worry about no one noticing you were gone. Now that would be a problem. It is nice to be missed. And I missed all of you too. I think we develop such a fondness for people we share our stories with. Hurrah! I just read your fabulous “Trip into Alice’s hole” I was with you the whole entire journey! Your genre is really” Magically Travel!” I really hope you visit me one day here in Costa Rica -we go to the cabin on the Pacific Ocean and You write! I would love nothing more than to spend some time with you in Costa Rica – catching up and sharing our writing. How is yours coming? I know you have been busy with the ‘tree top’ project, but are you still putting a few thoughts down here and there? Your voice is so unique and genuine that everything you write becomes ‘magic’ as well. So good to hear from you. Yes, you have been on my mind. Congratulations on publishing the story! I took a break in June, came back and have kept up the posting twice a week schedule–except for a couple of exceptions. Before the break, I never missed a Thursday or Sunday. But now, I’ve mellowed out a bit. If I miss one or the other each week…that’s fine. You’ve been traveling around if memory serves. I’ve got to catch up with all of the fabulous adventures you’ve had. It’s nice to mellow a little. Nothing ruins creativity faster than stress. That was part of my decision to get back to basics and just find out what was really important and what I could whittle down a bit. Remember you? Of course! I was just thinking about ya the other day trying to remember when you said you’d be back around here. p.s. Bookmarked your short story to read tonight. Thanks Dianna. I’ve missed your lovely adventures as well. I’ll be catching up on them though. Thanks Wendy. I love your links and can tell you put a lot of thought into your blog. It really shows. Sometimes it’s just difficult to work everything into our schedules. Good to see you back! I’ve come to many of the same conclusions re how I should invest my creative energies. Basically, blogging must serve the novel writing and be a means to an end rather than the sole end of what I’m doing with my writing. I have cut way back on how often I write blogs. Anyway–it makes sense to know that August is a dead time for agents. Here’s hoping that post-Labor Day, we receive a good response! From your lips to God’s ears! I’m hoping for anything that looks like the request was actually read, even if it was by the housekeeping staff. That automatic return with the stock reply is tougher to take than a real explanation as to why the work doesn’t fit their agency. But – we move forward. Good luck with your novel. And by all means, keep me posted on the progress. The automatic rejection concept really bothers me too. It’s just . . . unseemly, you know? Aw thank you re my novel. Same goes for you. And I might have to start asking the first of a million questions re query letters. Or maybe I should buy a book. Tweeted and promoted your blog on Twitter and FB to my 5000 + followers. Would love a return of favor. Please do the same for me…regarding the following link? Thank you Carole. I’ll leave your link on the comment page for any who read the blog to find. I’m afraid I haven’t given you much to tweet about lately. Hopefully that will change. During the break I didn’t spend much time on any social websites, which included Twitter. But that is gearing up again as well. Blogging is definitely time-consuming. I’m still undecided about what I want to do. I enjoy doing my blog, but I may want to do something in the humor, and/or memoir category in the future. I just don’t think I have enough passion for fiction, unless something brilliant comes to mind in the future. It would have to be a story that I would feel needed to be told, and right now I don’t have that in my head or written down. I’m also in the middle of an intensive job search, so when I put time into blogging, I feel guilty about being away from the job search. Ah, quite the catch-22. All the best to you in your endeavor. Thanks MJ. I’m intrigued with your choice of writing something in the humor or memoir genres and would love to hear more about them. I find that I enjoy exploring the psyche through a fictional story. Yet it seems that the characters take over as soon as the bones have been constructed. Please keep us all posted as to you progress. Welcome back, Renee. I was just thinking about you the other day and wondering where you’d gone. Glad to hear you have published a story and that you’ve prioritized. Now would you please do that for me? Yes Elyse. Consider yourself completely prioritized. Oh wait, if I remember correctly, you always have been. Sometimes it takes me a while to get where I need to be. Looking forward to catching up with you. Squeal! You’re back and I’m so glad to see you. Did you see that Evelyne and Jackie are about to retire? October will be last time they’ll be at Les Canotiers for Writing from the Heart. If I weren’t about to get on a plane for 2½ weeks in France, I’d go for it. But just can’t face another flight this year. Or, let’s face it, I can’t afford it after I get finished with a big plumbing refurbishment here going on as we speak. My blog is supposed to be about daily living, but daily living is interfering with blogging. (Thus, I’ve had kinda of a big gap this past week or more.) After weighing blogging with novel writing (my childhood dream), I decided that blogging is actually what I want to do. It’s my luxury that I don’t have to monetize it or I might have set different priorities. Glad again that you’re back. Now I must get back to that blog that if I don’t finish today, I won’t have time for it before the trip. I’ve missed you Lee! I did get the e-mail about Evelyne and Jackie and I am happy for them, although sad that future ‘Hearters’ won’t have the same experience. Of course, I think everything congealed so well for our particular group. It was magic! I think we are all learning that we don’t have to serve our blogs but that they are great for serving us. You do a great job with yours and a few days off won’t jeopardize your progress. I’ve got to skip over there and see where you are off to next. Hi Patti. I’ve missed you too. I’ll slip over to your site and see what has been happening with you. I was away myself, for a couple of weeks, exploring parts of Europe, which I’ve slowly but surely been posting about. Thanks for all the tips. They’re good ones, which I’ll be mulling over. Good luck with your writings! Hi Monica! I can’t wait to hear about your adventures in Europe. Maybe a few of us bloggers should plan one together. That could be fun! Looks like I’m in for a long road for sure. Keep your fingers crossed for luck! Holy Cow – your THIRD book? You are one busy girl! But I love that last line of your comment. It is so encouraging. I can do it….maybe. Renee, It was great to hear from you. I applaud your diligence and dedication to your writing but admit that I did miss keeping up with you via your blogs. Best of luck, and I want to purchase an autographed copy of your works when available. Your wit has always been such a integral part of your wonderful personality. Love ya always and we got to get together soon!!! Hi Deb, I sent you an email about the dinner theater if it interests you. Thanks for those lovely words. I have really had my nose to the typewriting grindstone and the webinars and the ….well…you get the picture. Love ya back! Great to see you back, Renee! Very good advice. I, too, took a well-deserved break to try to define what path I should pursuit. Blogging is wonderful, but getting a book on the shelf is what I truly want. Thanks for the encouragement and for your helpful tips. Welcome back! Thanks Annie. Yes, getting one of the novels out into the world would be such a fine thing and when I see how much time everyday life takes, it seems overwhelming to think of marketing a self-published book, which a lot of people are doing now. We don’t have to rush this though. Another piece of advice I got was to get 200 rejections before self-publishing. Let’s hope it doesn’t take that many before someone recognizes the potential that at least one of us has! Zip a dee doo dah zipp a dee yay, my oh my it’s a wonderful day! Did I mention I’ve missed you? Oh how I’ve missed you too! Getting back to my community of blogging friends feel like a celebration. Boy, I believe your blogging time percentage numbers. Blogging, and all forms of social media engagement, take an enormous bite of time. Even subtracting the time spent on creating our own blog content, just keeping up with the reading and interactions often feels like a full time job—one which I really haven’t had time for lately. For what it’s worth, once you have your novel finished…I would recommend not spending a whole lot of time waiting for some agent or publishing house to deign your work good enough. The world of indie-publishing is changing by the day. There’s surely some crap out there, but that’s always been the case. As long as you spend the time and resources on the right things, (editing and cover design) you can present a good, marketable product to the world. Oddly, after successfully self-publishing some authors have been picked up by the very same agents who initially rejected them. That sounds like good advice too, and luckily I know a great teacher/editor/writer who can do the editing for me but she is sooo busy. She tells me that I do a good job of self-edting, but that second pair of eyes picks up things we can miss, especially the passages that aren’t as clear to the reader because we know everything about all of the characters. My main concern about that is marketing. Yikes! What a vicious circle. That is so true! It’s that unknown background info that we carry with us that trips our readers. I find that even when an author sends their manuscript out to friends and family, those volunteer readers don’t find the little glitches that a good editor will pick up. Either the friends/family want the author to succeed and therefore try to be kind, or they already know too much about the background details. Second, third pair of “unfriendly” eyes are critical! Keep at it. And good luck with the final steps. Cheers! Welcome back – you sound well rested and solidly determined to head in a productive direction. If you are seriously writing – it seems like it would be hard to do a lot of blogging: writers have to jealously guard their time and spend creative energy only towards their current work….having said that, blogging is not only a place to write, but a community and oddly hard to disconnect from – but as you see, people will wait and check back. Just do what you need to do. Thank you for that encouragment. And I not only can’t disconnect – I don’t want to. I feel like I have a great community of bloggers who support and advise and understand the demands. And each of you adds a dimension to the conversation that makes the posts so much better than they would otherwise be. Congratulations on getting the story published, Renee. I agree with you that blogging — and even talking — drains away a lot of creative energy. I never talk about what I’m working on, and by the time I’m finished I’m so sick of it I have no desire to even think about it anymore. Glad you’re back. You sound good. Thanks for that encouragment. It has been a very prolific break. Your advice sounds spot on! We must guard that creative force before it burns up. You’re chockful of info. I’ve scaled back on my blogging and am about to even more. I finished a book of flash fiction, which I’m about to work on illustrations for. Writing’s a very intense business that takes up a great deal of energy. Ever be out and about with family and your mind’s on writing? Oh yes, Totsy. And how about just staring off into space and they all think you’re doing nothing but you are working out a plot issue and don’t want to be disturbed. I read about your stress – yikes! Hang in there. I did a little refurbishing and tried many other templates, but I still like this one and posted a new picture for a heading. Like it? Hi Renee, nice to see you back on the blog, but also CONGRATULATIONS for staying true to yourself as a writer. The story is a lovely tribute both to wild America and to marriage. Thank you for sharing. Thank you for reading and commenting. I appreciate your support. It isn’t always easy to navigate queries, submissions, and the next chapter in the our ms.